The Keiths came to Middleborough from Bridgewater where they were among the earliest settlers, being descendants of Reverend James Keith of Aberdeen, Scotland, who was the first (1664) ordained minister in Bridgewater. Reverend Keith’s grandson, Captain Joseph Keith (1738-1814), with his family removed from Bridgewater to Rock Village (then known as Beaver Dam) near the close of the eighteenth century. The Keiths apparently had some financial means as indicated both by the house which Martin Keith later built as well as the deference with which they were treated in the community. Joseph Keith seems always to have been referred to by his title of "Captain", while his son Martin appears in records as “Esquire”. Arriving in Middleborough sometime about 1781, Captain Keith became involved in the early industrial development of Beaver Dam. He was one of the original builders of the Beaver Dam sawmill which was constructed in 1783 on Black Brook just upstream from Highland Street and which operated through the mid-nineteenth century. Keith’s son Martin (1771-1854) became prominent in local politics, serving as a Middleborough selectman (1808-09), justice of the peace (appointed September 3, 1810) and representative to the Massachusetts legislature (1811-12 and 1821). During this period, the younger Keith maintained the family’s interest in the nearby saw mill, and it was likely there that lumber for the house Keith would erect in 1807 was milled. Additionally, Keith may have been engaged in iron-working. Hall notes that Martin Keith “was called the ‘rake baron’ since he apparently produced rakes nearby”. 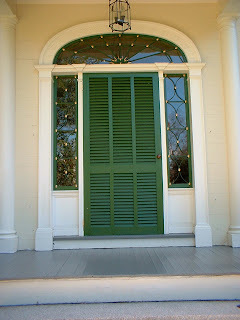 While the house was long known for its association with the Keith family, the 1807 date of construction was unknown until it was disassembled in 1990 at which time Hall made a fortunate discovery. When I removed the plaster about one third of the way up the stairs behind the lath, on a partion board was written in chalk "M Keith 1807". It appears Mr. Keith was perusing his new house as it was going together and wanted some mark of his association to it! My paternal great-great-great grandmother was born Arbella Keith. She was Martin Keith's sister. There's no question that she watched that house go up and spent many hours there visiting with her brother. 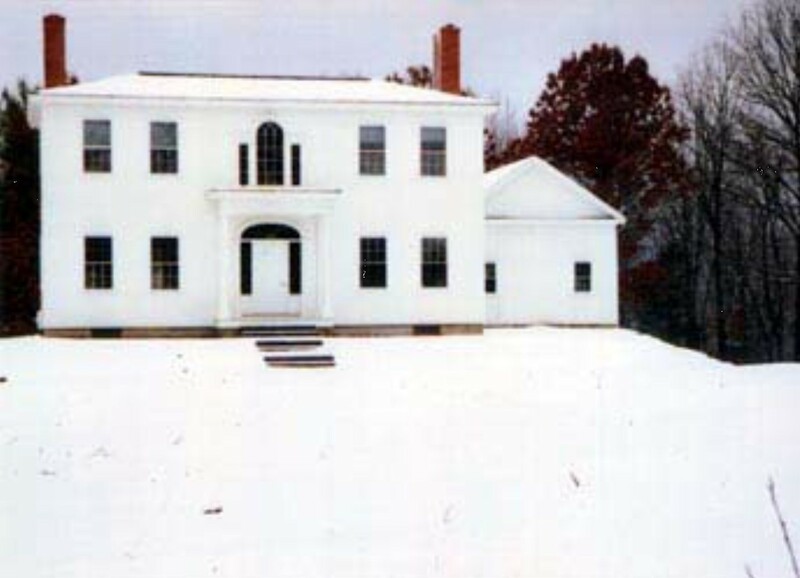 Not only was Hall able to determine the date of the house’s construction, but through another connection to the home, this time on the maternal side of his family, he was able to confirm the home’s builder as Aaron Simmons Sherman of Marshfield, Massachusetts, a housewright perhaps best known for the impeccable Thomas Ruggles House (1818-20) at Columbia Falls, Maine, which bears a remarkable resemblance to the Keith House. As I child (I grew up in Bridgewater) my maternal aunt Elizabeth Perkins would often take me by the old place expressing her great dismay that the house would obviously be lost to history. Her quote: “this lovely old house has a connection to my father's family. He'd take us down here as children often to see it. But I was never sure just how he was connected to it.” It was all very cryptic. So my affection for the Martin Keith House began when I was no more than eight years old. Subsequently as the years went by, I'd make intentional detours to drive by it to make sure it was still standing. To my great delight it always was … but the story of the association with my maternal side haunted me. It was not until 1982 when a first cousin once removed directed me to go into her attic and bring down a small trunk of papers and photos. (She knew I was very interested in genealogy and old houses). I had never known much about my great grandmother (born Amelia Bartlett Sherman). I only knew that her father was Aaron Simmons Sherman from Marshfield, Massachusetts, and her mother Lydia Sherman (neé Whitney) of Machias, Maine. century, courtesy of Richard B. Well that small trunk turned out to be a Godsend of information. In it was the entire handwritten genealogy of the Sherman family, Aaron's removal to Machias, Maine, where he built the famous Thomas Ruggles House. Ruggles was from here in Plymouth County (Rochester) and since my great-great-great-grandfather appeared to show early promise as a draftsman and architect he commissioned him to build his own residence in Columbia Falls, Maine. A placard in front of the Ruggles House commemorates Aaron S. Sherman and his building of that wonderful house. During my aunt Elizabeth's last year of life (1988), she asked if I'd take her to Washington County, Maine. I willingly agreed. As we headed toward Machias she said "turn off the main road here and go into Columbia Falls". I did as she said. As we drove down the main street of that rural town the Thomas Ruggles house immediately showed its beautiful countenance and my aunt said "remind you of anything?" I said "YES! It's very similar to the old abandoned house in Rock Village." She said "yes. That's why I brought you here. (So bits and pieces remained of what her father had told her). Look at the sign on the house and you'll see my great-great-grandfather's name. I'm quite sure he built the house on Highland Street too. I think that's why my father always referred to the family connection". Well the trunk from 1982 confirmed that Aaron S. Sherman did, in fact, build the Keith House and many others in and about the greater Boston area with a focus on southeastern Massachusetts. His last great commission was for Daniel Webster when he designed an addition to Webster's house in the new "Gothic Style". The house no longer exists but postcards of it do. MA, photograph courtesy of Richard B. The beautiful Adamesque house which Martin Keith raised on Highland Street in 1807 was unlike anything previously (or later) seen at Rock Village, and despite its architectural refinement, some residents no doubt perceived it as overly ostentatious in a neighborhood dominated by modest cape and half-cape style homes. Local folklore indicates that the pretensions of the family ultimately led to tragedy. Mrs. Ernest Thomas of Middleborough wrote in the mid-1940s of a burial in the Rock Cemetery on Highland Street: "One of the earliest graves in the old cemetery was that of another young girl who used to live in that rather striking looking white house you may have noticed about one quarter mile down the road on the right.... The story goes that in the early 1800s a wealthy family lived there with an only daughter whom they worshipped. But as she grew up she fell in love with a very poor young man who lived in the modest little farm house right across the road [Gunstock Farm]. The girl's people were furious and determined not to let her have anything to do with him. Of course she was quite upset. Then one day she disappeared. They hunted and hunted and finally found her body down in the cellar where she had drowned herself in a huge hogshead of brine kept for pickling the winter meat." The supposition is that the girl may have been Deborah Keith, the sister of Martin and daughter of Captain Joseph. Although Deborah Keith is buried in the Rock Cemetery, she was 27 at the time of her death and not an only daughter (she had four sisters). Alternatively, Lurana Keith who was born in 1795 and was the only daughter of Martin Keith would seem to better fit the tale. She is however identical with the Lurany Keith who married Branch Harlow in 1815. Lurany Keith Harlow died in 1878. Not surprisingly, skepticism surrounds this tale since there is no documentation to support it. 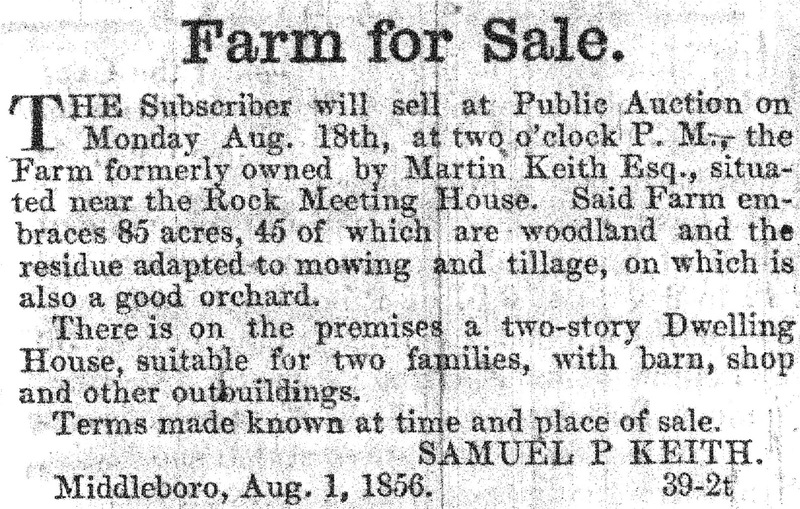 Pretentious or not, Martin Keith was an extensive landowner at Rock. In 1812, he purchased his father’s homestead farm, and seven years later in 1819, acquired an additional 123 acres from Nathaniel Tinkham near the Rock Burying Ground on Highland Street. The 1820 Federal census taken on August 7 of that year indicates that Martin, Hope, and sons John, Samuel P. and probably Foster were residing in the Keith House. Interestingly, only one member was recorded as being engaged in agriculture, indicating that the family’s interests lay elsewhere. 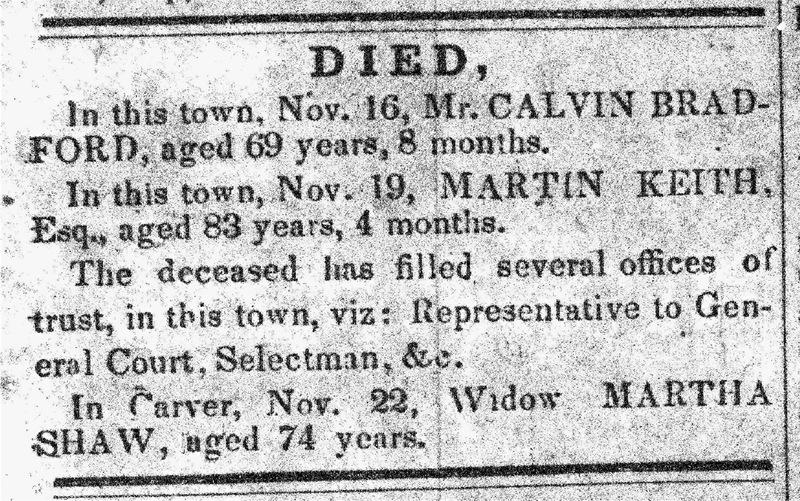 The 1840 census records Martin as being engaged in agriculture though, given his age, this was likely in the role of master farmer. 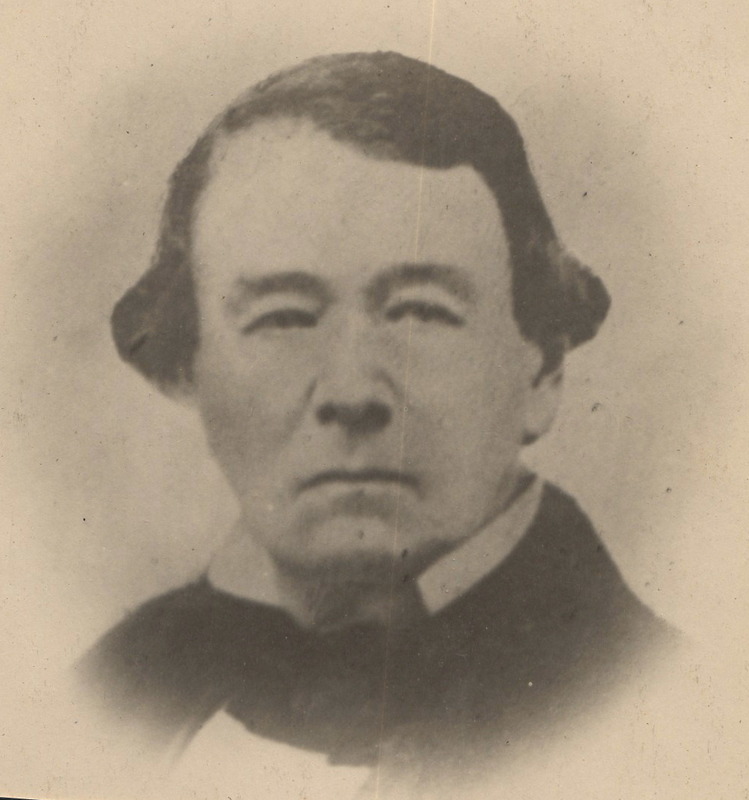 On March 25, 1844, Martin Keith sold his entire estate to his youngest surviving son, Samuel P. Keith (1801-81), who granted his father a life estate in the property permitting him to live “in the same manner as if his deed to me had never been made during the period of his natural life.” Martin Keith continued to reside in the home until his death in 1854. Following that time, it was occupied by his widow, Hope (Sturtevant) Keith, with her son Samuel and his family. In 1856 Hope Keith was noted as being likely the oldest living Middleborough resident. (Moses Thompson, in fact, was three years older). 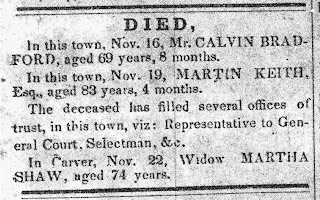 She later moved to Oakham where she died in 1858 though her remains were brought back to Middleborough for burial in the Rock Cemetery. Perhaps tiring of Rock Village, just a year following his father’s death, Keith purchased a house lot on the west side of Forest Street in Middleborough and began the construction of a house there. “Mr. Samuel P. Keith, has commenced operation in good earnest, for erecting a house on a new street, running from the house of Mr. J. A. Leonard, towards Muttock,” reported the Namasket Gazette on August 3, 1855. 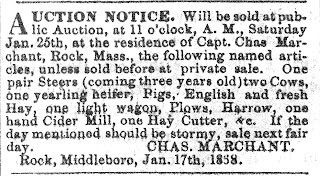 The following year, 1856, Samuel advertised the Highland Street property for sale, disposing of the farm for $2500 to Charles Marchant, a mariner from Edgartown, Massachusetts. Business Directory of Middleboro', Mass. 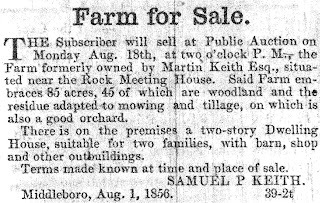 Gibbs sold the property to Annie W. and Elizabeth A. Sumner in August, 1889, and C. A. Sumner is recorded in the Middleborough directory of that year as farming the property. The Sumners sold the property just a few years later in March, 1892, to George T. M. Gammons (1838-1924) of Rock. Gammons, like Francis B. Gibbs before him, was characterized as “a typical, old-fashioned New Englander.” Gammons farmed the former Keith property and engaged in lumbering during the winter as did many local farmers, and he sold charcoal, fuel wood and lumber. 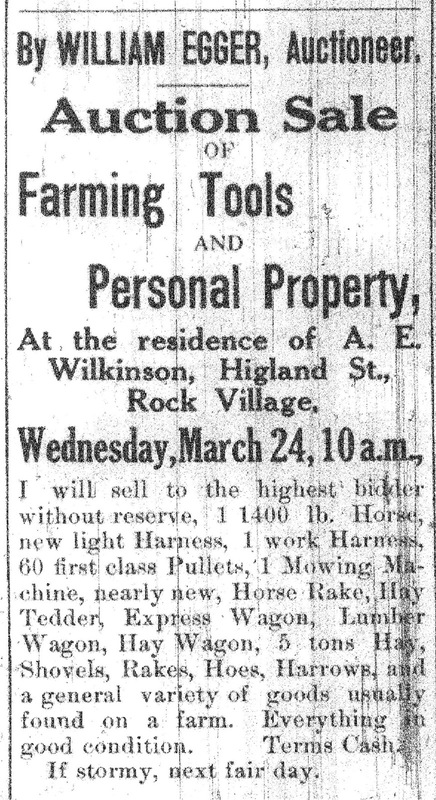 In 1908, Albert E. Wilkinson of Dorchester purchased the former Keith House and surrounding land, described at the time as “30 acres of land, a woodlot, two-story house of eleven rooms, stable, 36 x 30 feet, with carriage, tool, poultry, wood and ice houses.” Wilkinson took up residency with his family about the end of March but did not remain long, defaulting on the $1500 mortgage he had taken with Gammons. The property was subsequently sold at public auction on March 29, 1909, and was reacquired by Gammons, the mortgagee, Wilkinson the previous week having sold his personal property at auction before departing Middleborough. Gammons resold the Keith property to dairyman John M. Cushman of Middleborough who seemingly sold a portion of his North Street farm to Robert Fickert in order to finance purchase of the Highland Street property. 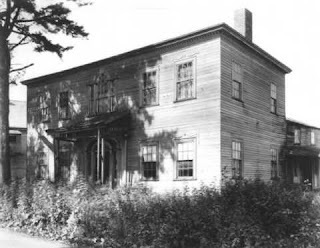 Cushman (who maintained his residence on North Street) would own the property until August, 1918, during which period he rented the Keith House. The first occupants were the La Flamine family of Fall River who rented the house beginning in April, 1909. About 1915, Frank Maddigan who was a dairyman rented the property and operated his milk route from there. 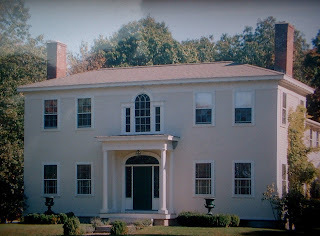 Although the family lived there only for a few years, until October, 1917, when Frank Maddigan relocated to Middleborough, a photograph on the Middleborough Public Library's website is captioned "Former Maddigan House". 1916-1917 (Boston, MA: Union Publishing Co.
On August 26, 1918, Cushman sold the Keith House to Joachim P. and Alfred Baptista or Baptiste of Somerville. Alfred shortly afterwards disposed of his interest to Joachim who in January, 1920, through the agency of the P. F. Leland Company of Boston sold the property to Helen L. and Swift N. Long of Middleborough. Long (1853-1938) was a “retired building contracting superintendent, prominent in this trade in Connecticut” where he was involved in the construction of the Windham County Courthouse, the American Thread Company buildings at Willimantic, and numerous public buildings in Hartford. Long retired from this work in 1925, but remained occupied as a carpenter after he came to Middleborough and (like many families at the time) engaged in poultry-raising. Nonetheless, Creamer owned the Keith House for nearly a half century more. 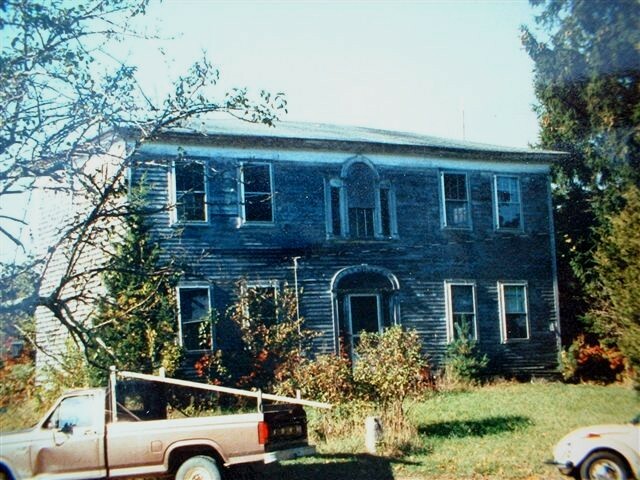 On April 27, 1988, Creamer and his second wife Gladys (Maden) Creamer sold the house to his step-son, John J. Hebert of Middleborough. Ralph Creamer died just two and a half weeks later. 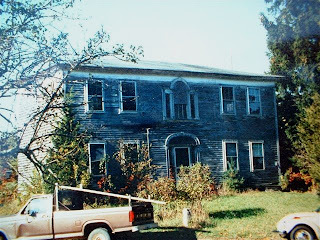 According to Hall, the house was in a state of dereliction when he visited it again in 1990, with some of the damage resulting from the 1941 fire. The house was nearly beyond salvation. By the time I got the place it was in truly dreadful condition. Both end chimney stacks had been removed and all sills were rotten beyond reclamation. The fireplace mantel in the dining room (which had been converted to a kitchen) was found rotted under a fir tree close to Highland Street. 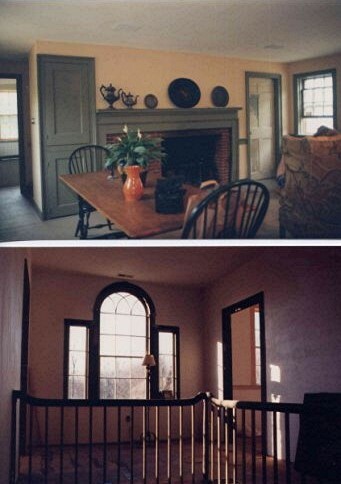 Originally I had wanted to restore the house for myself. That was my intent, but when I realized I didn't have sufficient money to do it justice, I persevered knowing someone would one day see the potential in the place. the horizontal plank sheathing underneath. ﻿We took the entire month of October 1990 to disassemble the place. [The owner of the property] John Hebert was only keeping the house standing because (as he told me) "the electric meter is there and it will cost one thousand dollars to move it …. You pay to have it moved and the house is yours". I paid him the money and the rest is history. John only went through the house once with me. It was interesting to note that as we began to take the house apart Mr. Hebert became more and more interested. Then his son-in-law (a very nice fellow by the name of Teceno) helped us for one full day remove the clapboards from the house. 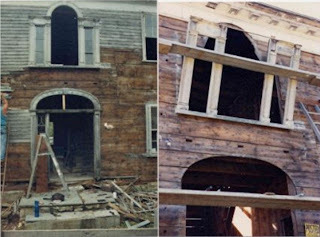 At the time the house was disassembled, it was extensively documented with both photographs and videos. “They all aided in the resurrection of Martin Keith's beautiful house,” notes Hall. The house was disassembled in October of 1990 and stored in my barn on Cape Cod until 1995 when I found sympathetic buyers who recognized the architectural significance of the house. I recall that first winter when the house was going back up. At that point the house was not finished inside and the owners were having great trouble with the contractor they'd hired to reassemble and finish the Keith House. I was hired to assist in a good deal of the research for the reconstruction of it. The folks who bought it from me … were able to do all the structural repairs and to replace the back ell which had burned off in a fire years before. I was able, through George Decas, to locate an old postcard of the Martin Keith House taken from near Hope's Rest Cemetery. It showed the original configuration of the kitchen ell and barns. It was used as a prototype to replace it when the house went back together in Ipswich. I feel very fortunate that it came to pass and the house was saved from destruction. Its three key elements are the fanlight doorway, the Palladian window, and that tremendous stairway. It's truly the epitome of high style Federal architecture. [For a garage] I had suggested another hip-roofed barn/carriage house that exists still in Middleborough that would have been the perfect complement (stylistically and scale-wise) to have copied but they opted to put up that gable end pseudo garage which I feel detracts markedly from the house. I find that existing building they appended to the right as you face the place too small scale and at odds with the main body of the house. But, in the grander scheme of things, I should be thankful it survived as well as it did. Indeed, thankfully through the efforts of Mr. Hall, the Martin Keith House stands to this day. And while it is important that this one individual house was saved, Mr. Hall’s work also demonstrates that seemingly derelict structures in Middleborough and elsewhere are not beyond salvation despite their outward appearance and structural challenges. Regardless of their condition, these neglected structures are important cultural resources, the loss of which compromises our shared heritage and the reclamation of which is therefore not only desirable but possible. Maddigan, Michael J. Elysian Fields: An Illustrated History of Rock Cemetery. Middleboro, MA: Rock Cemetery Association, 2007. 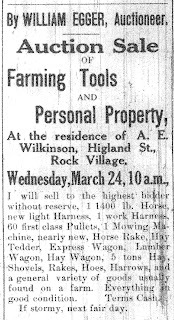 Middleboro Gazette, “Rock”, February 7, 1908:3; ibid., February 14, 1908:1; ibid., April 3, 1908:2; Mortgagee Sale of Real Estate notice, March 5, 1909:2; “Rock”, March 26, 1909:5; ibid., April 2, 1909:2; “Middleboro”, April 9, 1909:6; “Rock”, April 30, 1909:5; ibid., October 21, 1917:1; “Middleboro”, January 23, 1920:1; “Former Middleboro Man Observes 90th Birthday”, April 6, 1923:2; “Poultry Thefts”, November 21, 1924:1; “Rock”, November 21, 1924:6; ibid., December 19, 1924:4; “Rock”, April 23, 1926:6; “Recent Deaths”, February 12, 1932:1; “Deaths”, February 12, 1932:4; “Recent Deaths”, October 7, 1938:1; “Deaths”, October 7, 1938:7; “Rock”, October 7, 1938:8; “Fire Ruins Old Long Place on Highland St.”, October 31, 1941:1; “Obituaries”, May 19, 1988:20. 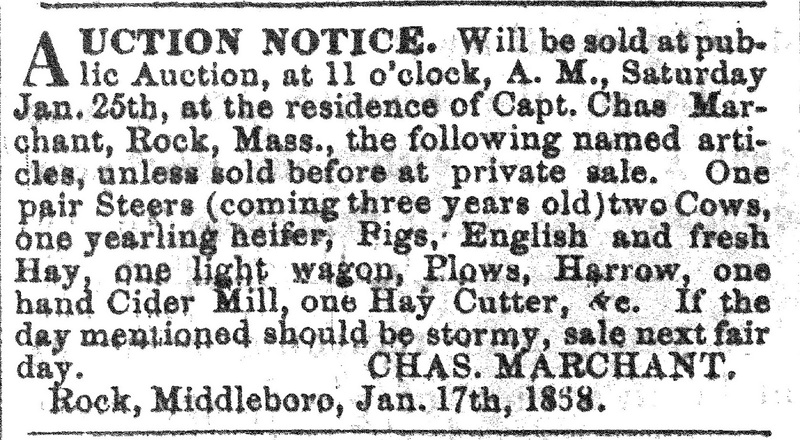 Middleborough Gazette and Old Colony Advertiser, “Middleboro”, January 18, 1868:2; Marchant auction notice, ibid. The Plymouth County Directory, and Historical Register of the Old Colony. Middleboro, MA: Stillman B. Pratt & Co., 1867. Resident and Business Directory of Middleboro’, Mass. Needham, MA: Local Directory and Publishing Company, 1884. Resident and Business Directory of Middleboro and Lakeville, Mass. Needham, MA: A. E. Foss & Co., 1895. Resident and Business Directory of Middleboro, Mass. North Cambridge, MA: Edward A. Jones, 1901. Resident and Business Directory of Middleboro and Lakeville, Mass. : 1904-5. Boston, MA: Edward A. Jones, 1904. Resident and Business Directory of Middleboro and Lakeville, Massachusetts:1909. Boston, MA: Boston Suburban Book Co., 1908. Resident and Business Directory of Middleboro, Massachusetts:1916-1917. Boston, MA: Union Publishing Company, (Inc.), 1916. Resident and Business Directory of Middleboro, Massachusetts: 1921-1923. Boston, MA: Union Publishing Company, 1921. Crosby’s Middleboro, Massachusetts Directory:1928-29. Wollaston, MA: Crosby Publishing Co., 1928. Middleboro and Carver, Massachusetts Directory: 1934. North Hampton, NH: Crosby Publishing Co., Inc., 1934. Fourth Census of the United States, 1820. Records of the Bureau of the Census, Record Group 29, National Archives Microfilm Publication M33, Roll M33-50, Page 413, Image 345. Washington, D. C.: National Archives. Fifth Census of the United States, 1840. Records of the Bureau of the Census, Record Group 29, National Archives Microfilm Publication M19, Roll M19-64, Page 264. Washington, D. C.: National Archives. Sixth Census of the United States, 1840. Records of the Bureau of the Census, Record Group 29, National Archives Microfilm Publication M704, Roll M704-76, Page 194, Image 652. Washington, D. C.: National Archives. Seventh Census of the United States, 1850. Records of the Bureau of the Census, Record Group 29, National Archives Microfilm Publication M432, Roll M432-333, Page 249B, Image 503. Washington, D. C.: National Archives. Thanks so much for this article. I grew up in that house and I didn't know much about the history. Seeing how it was restored was great, it looks fantastic now! Thanks for this great story. I'm the editor of the Ipswich Historical Commission website, http//historicipswich.org but I did not have this information. Could you let us know the street address in Ipswich for the Martin Keith house? I'm not sure of the address of the house's new home in Ipswich. If anyone knows, please enlighten us! The Martin Keith House, now located at 36 Candlewood Road, Ipswich, Essex County, Massachusetts has been put on the market. It was reconstructed there in 1997. I've only recently spoken with the realtor who says in just these three days "there's good interest". Google the address to see interior views. It's spectacular.